"Location and good for all ." 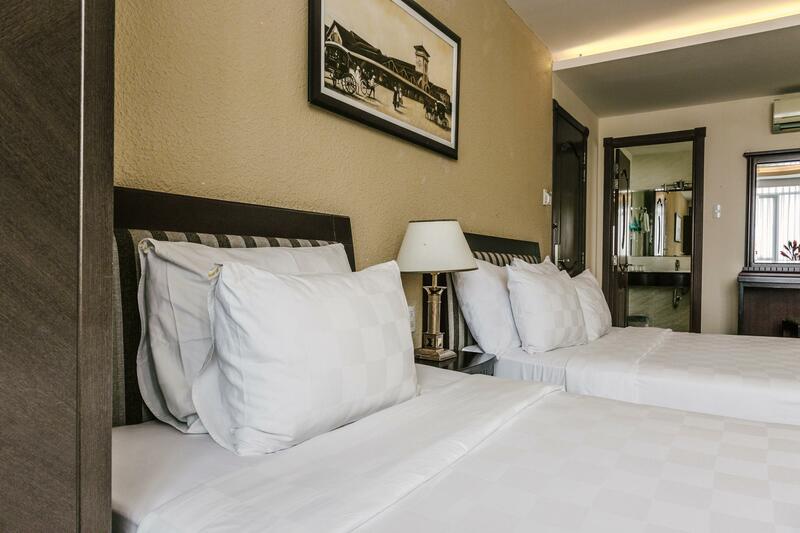 Have a question for Ambassador Saigon Hotel? 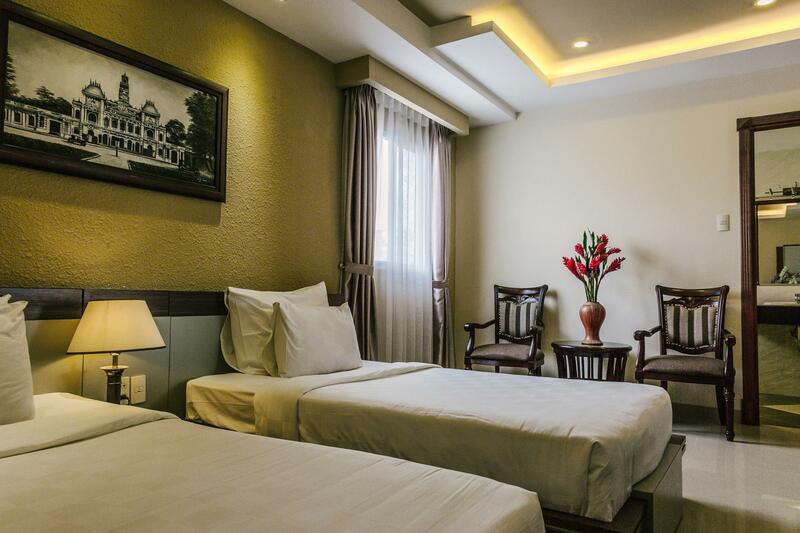 "Very convenient location, walking distance to central of town and lots of food." "House keeping very clean ." 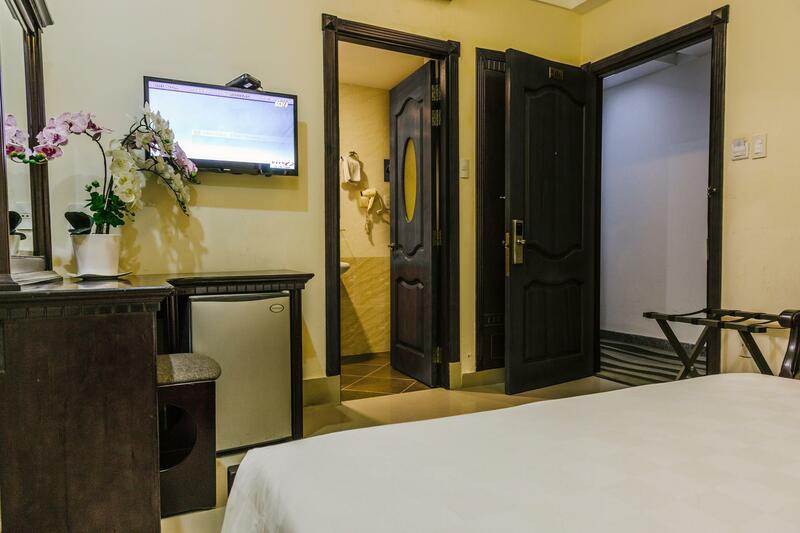 "Overall experience is quite ok, decent room size with big bathroom with bathtub." "All were great except for the cleanliness of the room." 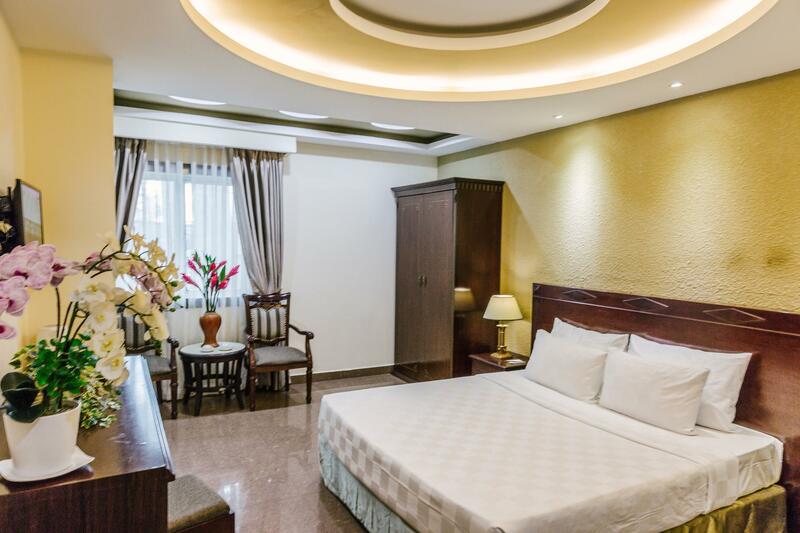 Well located in the heart of the city, Ambassador Saigon Hotel is merely a few minutes' walk to the famous Ben Thanh Market and the business, commercial, and entertainment area. 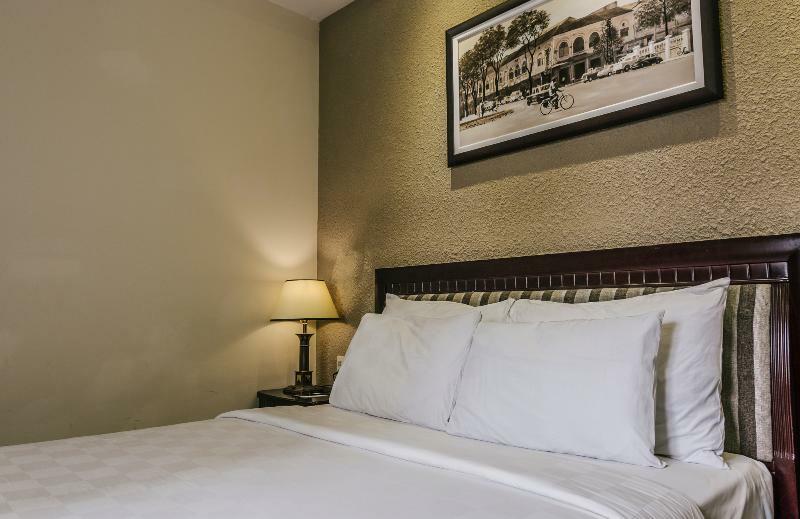 Catering to both leisure and business travelers, there are a total of 72 spacious rooms with full modern equipment such as cable TV and complimentary wireless Internet access. 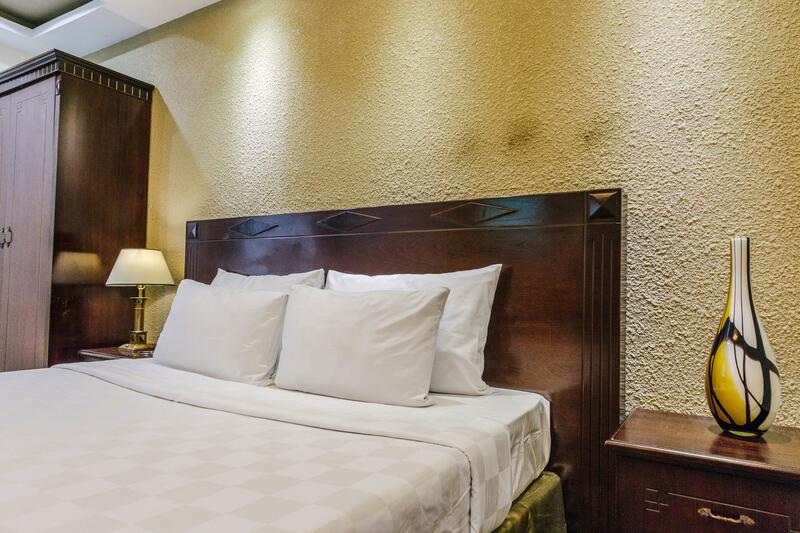 As for dining, the hotel features two elegant restaurants on the 12th floor with Sky Restaurant serving a buffet breakfast and a la carte dishes. Wine Cave exclusively serves most brand name wines. 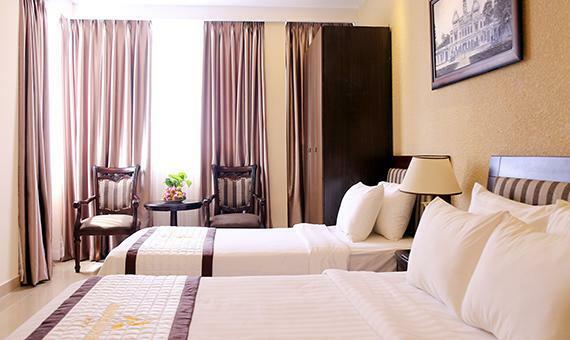 Ambassador Saigon Hotel offers top service in a convenient location. "we recommend this hotel ." I book a deluxe room for my friend. Fortunately the room is full and we were upgrade to luxury room. The room is large, but the window is small. The towel were too old and I wonder why the hotel didn't change these things. However the location is good, staff were very helpful. This hotel is in a good area, they got fantastic staff. the only problem is they got only one elevator. there is no service elevator, so they have to use one elevator for everything. I have to wait at least 5 minutes. But other than that very friendly nice hotel. Our room had very strong mothball smell. They use. It in the wastebaskets to keep bugs away. We also didn’t have a window. The staff removed them for us but the smell took a couple days to disappear. Breakfast buffet was pretty good! Location was great. The receptionist is kind and friendly. I'm appreciated I book almost midnight but they still prepare a nice room for me. The breakfast is very good. I had a good experience here. I will come back again. 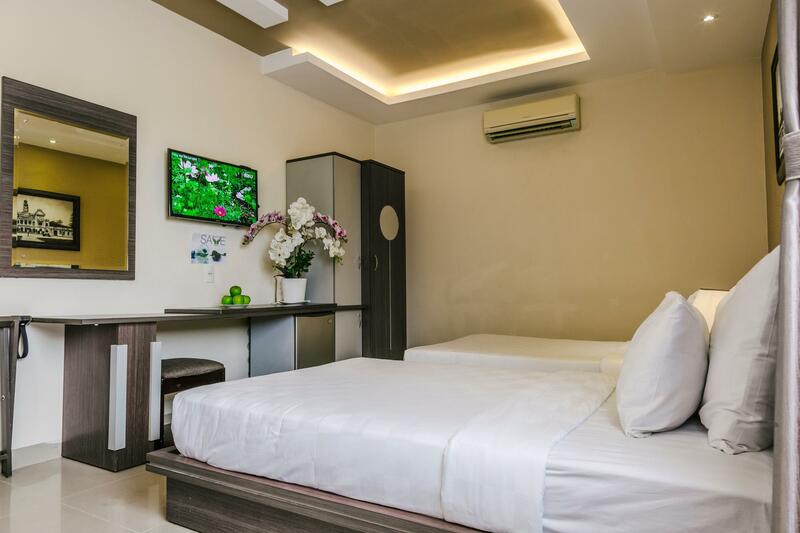 Room was clean, friendly, polite and helpful staffs. Centrally located with nearby foodspots, cafes and entertainment joints. The only painful thing is the lift - you need to wait VERY long for that one lift. No issues for me though since I love climbing the stairs. Will definitely return. A hotel very well managed! Easy to locate, walking distance to the city center and main bus hub; lots of local eateries and shopping stalls including Ben Than. Room is clean and comfortable, bed and pillows are good. Breakfast is simply great in the roof top restaurant with a good city view. Cant ask for more at this rate. The service was top-notch. Couldn't ask for better! The hotel accommodated our changes from 2 rooms for 3 person to 1 room for 2 person. Well, the service was so good that we added in an extra night without changing to another hotel. Thank you Mr Binh and your team! Staff were excellent. Very friendly and helpful. House keeping responds very fast too. 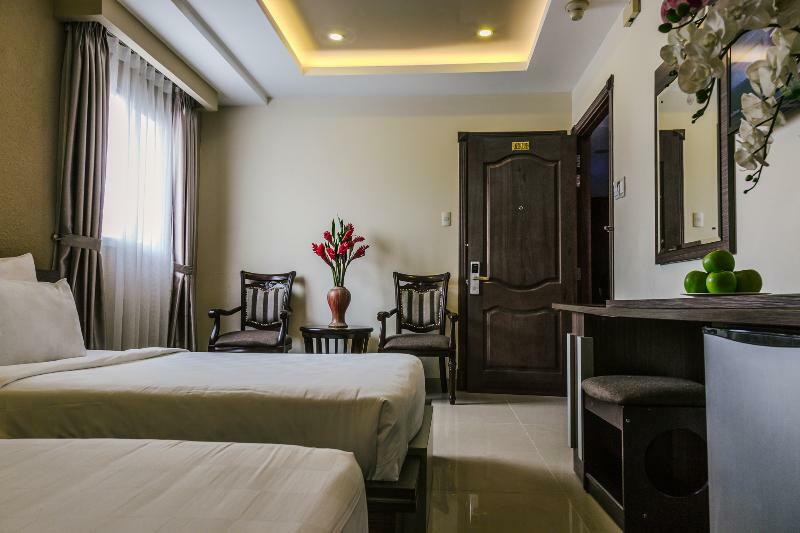 Hotel is clean and location is good with several food stalls and minimarts nearby. Wifi signal was really strong too. The only downside is the thin walls. We could hear the water running from the other room when someone toon a shower. There was renovation going on in another room but noise was quite minimal. Only one night at the hotel but it was very good. Good location, room was clean, bed was perfect. Staff were very helpful and polite. Breakfast was fantastic, more than expected. We will come back again next time.